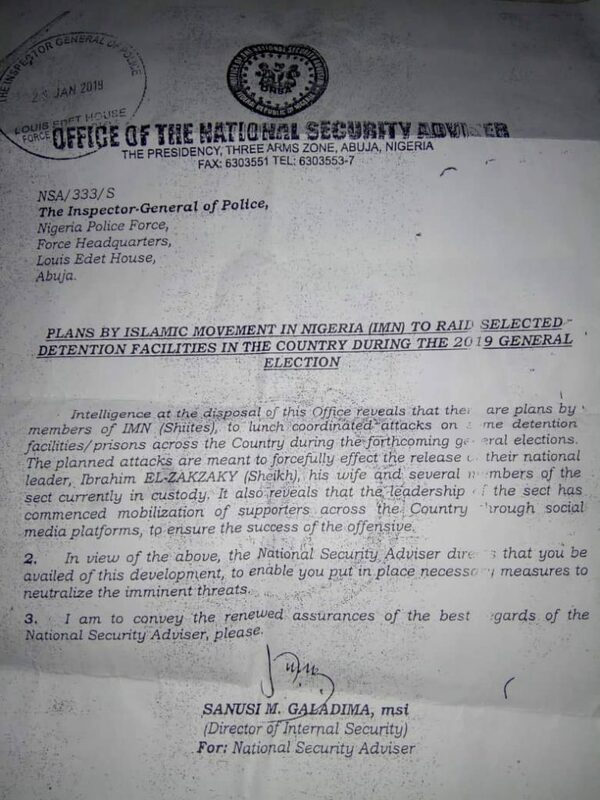 IHRC has obtained a copy of a letter from the chief of Nigeria’s internal security service that suggests it is manufacturing a pretext to crack down on supporters and members of the country’s Islamic Movement ahead of the general election later this month. 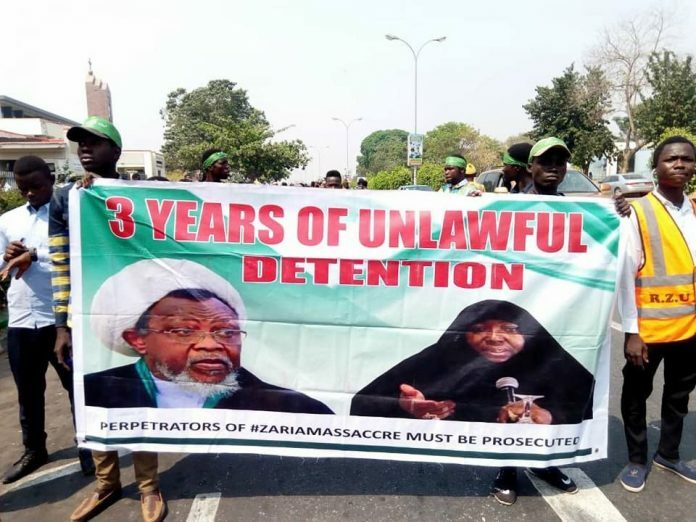 In the communication addressed to the Inspector-General of Police, the director of Internal Security Sanusi M. Galadima advises him to implement measures to thwart alleged plans by the Islamic Movement of Nigeria to free by force its detained leader, Sheikh Ibrahim el-Zakzaky, his wife and other members of the movement. IHRC believes the letter is clear evidence that the government is weaponising the election and planning to use violence to manipulate the democratic process. By seeking to attack and trying to marginalise the Islamic Movement the Nigerian authorities hope to reduce its enormous influence over the voting public. The general election is due to be held on 19 February. The Islamic Movement has always made clear its opposition to violence and despite being frustrated and often attacked by the authorities has tried to seek justice for its members through peaceful and legal channels. After holding them without charge since December 2015 Nigerian authorities are now trying the Sheikh Zakzaky and his wife along with two other members of the Islamic Movement on trumped up charges relating to the massacre in the same year by the Nigerian military of over 1000 followers of the Islamic Movement of Nigeria. They are accused of abetting the commission of culpable homicide by blocking roads in the city of Zaria, an act that the authorities allege led to the death of a government soldier. In reality, the charges are designed to deflect government responsibility for a planned and systematic attack by soldiers which is now the subject of a preliminary investigation by the International Criminal Court.